If you read my recent article, you know that I just switched to Spectrum Mobile service with my iPhone X. Only two days in, things seem to be going well. But I wanted to share one tip for those of you that may use a third party voicemail service (or forward their missed calls to an answering service). Previously while on AT&T’s service, I had my voicemail set up so that it would bypass AT&T’s voicemail and instead use Google Voice as a voicemail service. This uses a process called Conditional Call Forwarding, of which I’ve written extensively about in the past. This is the same process that one would use if they want their missed calls to go to an answering service. 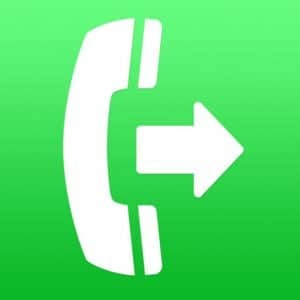 It slipped my mind that when changing wireless phone providers that I would need to reconfigure my service to use Conditional Call Forwarding (CCF) for my Google Voice voicemail. My first thought was that I hoped Spectrum Mobile actually supported this feature, because it is a little obscure for most people. However, because Spectrum Mobile is really just Verizon’s network, I figured that Verizon’s CCF code would probably work. Hopefully this article will help people save some time when setting up Conditional Call Forwarding with the new Spectrum Mobile service. If you have any questions on Mobile technology, please feel free to ask! For those of you that aren’t aware (especially those who live near me in the St. Louis metro area – or any other area where Charter/Spectrum Internet service is available), there is a new option available for cellular service. 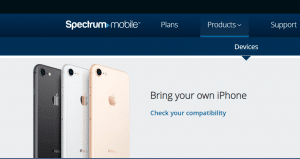 Spectrum Mobile is a wireless service from Charter Spectrum (or just Spectrum … I hate the fact they sort of changed their name and now no one really knows what to call them). To be clear, this service can replace your existing cellular service from AT&T, Verizon, Sprint, T-Mobile, etc. In actuality, Spectrum Mobile uses the Verizon cellular network along with Wi-Fi calling on Spectrum’s network of numerous public Wi-Fi hotspots. I’m sure the first question most of you will have is why use Spectrum Mobile instead of Verizon? If it’s the same network, why bother? What caught my attention about Spectrum Mobile, as I’m sure it will catch yours, was their price of $45/month for “unlimited” service. Most other wireless companies charge about double this amount for their comparable “unlimited” service, including Verizon themselves. Additionally, if you are a light data user, Spectrum Mobile has a plan that costs $15/month for each gigabyte of data you use. If you generally use less than 2 GB of data a month, you can save even more money. Sounds great, right? I wanted to sign up right away when I first heard about it. But unfortunately, there was one big roadblock. As I mentioned before, Spectrum Mobile service is new. Really new. As in they just rolled out the service over the summer. Initially, you could not bring your own phone to the service. In fact, you still technically can’t – unless you’re like me and have learned a few things! When I first found out about the service last fall, I was ready to sign up right away – except that I could not bring my existing phone. At that time, you were required to buy a new phone from Spectrum. Having a less than one year old iPhone X, I was not interested in buying a new phone. However, Spectrum reps and information on the Internet all said that the “bring your own phone/device” option (BYOP or BYOD) would be here “soon”. Likely by the end of the year. In fact, at one point in December, Spectrum set up a web page for signing up with BYOP, but then that page was quickly taken down. Likely it was inadvertently published early, but some news sources spotted it. This web page was up only a brief time before it was taken down in December. Well the year end came and went and rumors were that Spectrum was testing it in certain areas. As I did more research I found that it was now possible to bring only certain types of phones to Spectrum Mobile and on top of that, only certain Spectrum storefronts could perform the function at this time. The good news for me was that I had a qualifying phone, but the closet store was about an hour away. Luckily I was soon going to an event near one of those stores so I took the opportunity to switch service. Being that Spectrum Mobile is a new service and that their BYOP option is bleeding edge, I was a little nervous that I would get caught in technology hell. Especially given that I was porting over my existing number from AT&T and that I depend heavily on my phone for business. Yet I felt confident that Spectrum had their stuff together and that I would have no problem with Verizon’s network. Also being a technology professional, I wanted to test out this service as soon as possible and if there were any issues, I figured I could handle them. The first possible opportunity for problems was in actually signing up for the service. I’ve had experiences with wireless providers both simple and exasperating. I was hopeful the process here would be uncomplicated. I’m happy to report that the process of switching my service over to Spectrum Mobile was relatively quick and painless. The whole process took only about 30 minutes and a few of those minutes were my fault for forgetting my AT&T PIN code and I also spent some time chatting technology with the Spectrum rep. Of course, the process was streamlined for me because I knew I had an unlocked iPhone and I had all my ducks in a row (other than my AT&T PIN!). Of course, the next opportunity for issues would be in the quality of the cellular service. It’s one thing to switch the service provider, it’s another to actually be able to use the service. I can report that when walking out of the Spectrum store, I had a fully functional iPhone on the Spectrum/Verizon network. Bars were good and I made and received a phone call without issue. Internet speeds seemed solid and I had no negative experience initially. I took a look through some settings on my iPhone and made sure that Wi-Fi calling was enabled. I am sort of surprised, given Spectrum’s marketing, that this option was not automatically enabled or that I was not instructed to turn on this feature in the store. Perhaps the Spectrum rep felt I was technically competent enough to do this and didn’t feel the need to explain it. Not that it is technically necessary as obviously the phone works otherwise on the Verizon network. But it was just something that struck me as odd/interesting. It’s about two days later and I’ve had no issues with phone calls or data usage on either the cellular network or Wi-Fi. So far so good, but I will keep everyone updated as I spend more time with the Spectrum Mobile service. To sum up, if you want to try Spectrum Mobile and you don’t want to buy a new phone, you must have an iPhone 6S through an original iPhone X. At this time, they are not yet ready to work with the new iPhone XS, XR, or XS Max phones (unless you buy one from Spectrum). Android users are also out of luck at this time (unless, again, you buy one from Spectrum). They will eventually support all types of phones that are compatible with the Verizon network, but again, this is a very early time for their service so they are slowly rolling out and testing these options. Also, you must go to a Spectrum store that is trained on the BYOP option, which at the time of this writing are only the stores in Chesterfield and O’Fallon, MO. If you have any questions about wireless technology, please feel free to get in touch! 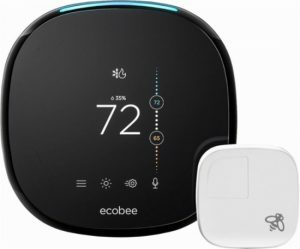 For the 11th installment of my Holiday Tech Toys article, smart home technology continues to be hot. 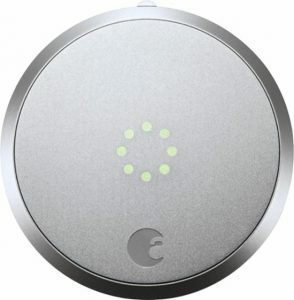 In addition to home automation technologies, I also included a variety of gadgets for use around the house as well. 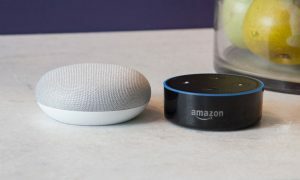 Technology continues to get more personal it seems, which can make gift buying easier but the increasing variety of options can make technology purchasing more confusing! Hopefully these Holiday Tech Toys will give you some ideas for that technology buff in your life! Internet-connected security cameras are a hot item. Unfortunately, for many people the price tags are too high. 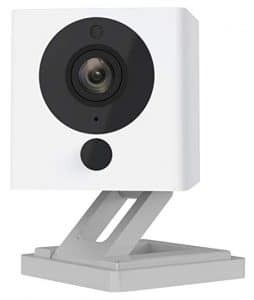 Enter the Wyze Cam. For $20, this camera can do almost anything that cameras priced 5 to 10 times as much can do, such as night vision and 2-way audio. 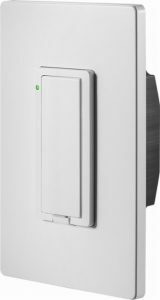 While it is not perfect and does not integrate with all major home automation platforms, for the price it is hard to beat for the basic functionality that a Internet security camera should provide. It is hard to believe the Apple iPad has been around for almost 9 years now. The device that ended the PC era is almost a decade old, yet it still sets the bar that other tablets aspire to. But who are we kidding … there is barely a tablet market outside of the iPad. The iPad is priced lower than it has ever been, starting at $329 for a 9.7 inch 32 GB model. A lot of people have held on to the first iPad they ever purchased, so this may be the year to give them an upgraded model. 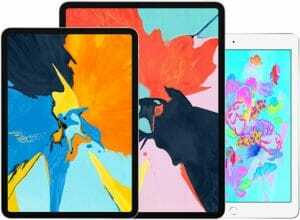 Make sure to check out the more powerful, larger, but also more expensive iPad Pro models as well. But do note that all iPad models (except the iPad Mini) are now compatible with the Apple Pencil, not just the iPad Pro models. 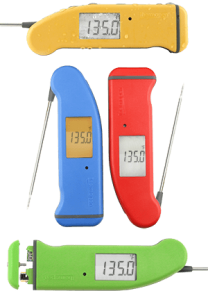 Continuing the cooking theme, the ThermoWorks Thermapen is a line of digital food thermometers that can accurately and quickly measure the temperature of food during preparation. It works on meats, fish, casseroles, re-heated foods, breads, cakes, deep frying and candy. 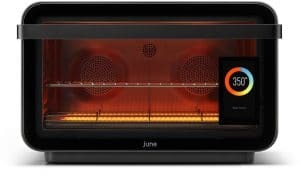 If the June Oven is perhaps a little too much to give as a gift to your foodie friends, perhaps a Thermapen would be perfect. One of the most common questions I get asked is what device should one use to watch streaming video services on an actual TV set. The major contenders are the various models of Amazon Firestick, Google Chromecast, Apple TV, and Roku. While my personal favorite is the Apple TV, a lot of people are looking for a lower priced option. For low cost and simplicity, it is hard to beat the Roku Express. For under $30, the Roku Express works with all the major steaming services (such as Netflix and Hulu) and provides 1080p resolution. 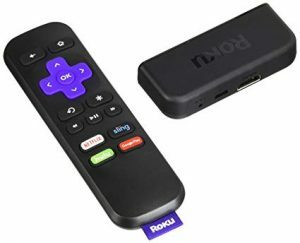 It is certainly not a perfect device and more expensive Roku devices provide features such as 4K Ultra HD resolution, but considering the price, the Roku Express is a great gift for those who want to try streaming video. If you are giving it as a gift, try to verify that the person receiving the gift does not have a 4K TV or doesn’t plan to get one soon. I’d recommend a different Roku such as the Roku Streaming Stick+ or Roku Premiere for 4K TVs. The original modern smartphone, the Apple iPhone is still the cream of the crop when it comes to ease of use and reliability. 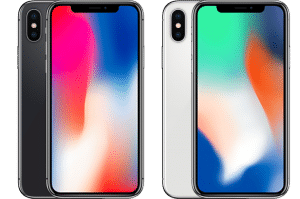 The various iPhone X models (last year’s X, and this year’s XS, XS Max, and XR) are among the most popular Apple has ever sold and the technology in these devices are impressive even to a jaded technology expert like myself. If you are looking to give an iPhone as a gift, make sure to purchase one of this year’s model phones. 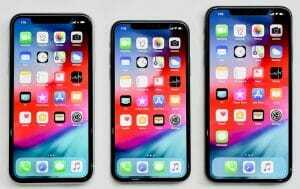 The lower-cost XR model appears to be selling very well and is a very attractive option to those who want a top-of-the-line iPhone but are willing to save some money in exchange for a screen that uses previous generation technology. Not to say that the screen of the XR model is sub-par, it simply isn’t the cutting edge in screen technology available today. But for many people, they may hardly notice the difference. Also interesting is that the XR model has a slightly larger screen size than the flagship XS model (but smaller than the XS Max). Speaking of the Apple iPhone, one of the features of the iPhone 8 and X series is wireless charging. With a compatible wireless charger, one can charge an iPhone 8 or X series simply by laying it on top of the charger. 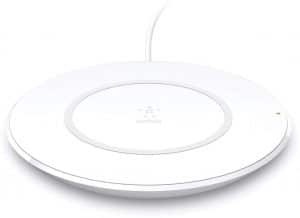 There are many choices for wireless charging pads, so to make it simple, the Belkin Boost Up Qi Wireless Charging Pad 7.5W is a low-cost option from a trusted brand name. It is optimized for iPhones to support Apple’s “fast charge” feature for quicker charging, but it will work with any Qi-enabled device from Samsung, LG, Sony, and others at normal charging rate. If you have a Samsung phone, you can get the Samsung optimized Belkin Boost Up Qi Wireless Charging Pad version to support its particular fast charge feature, but it is a little more expensive. Back to the home automation theme, remotely controlling lights is one of the most popular home automation tasks. The Philips Hue is one of the most popular lines of “smart light bulbs” and the A19 is the most popular/well-known form factors of light bulbs. 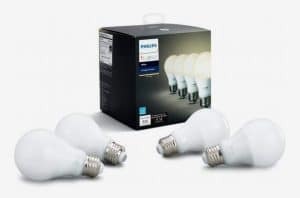 Currently selling for about $40 for a 4-pack, at $10/bulb the Philips Hue White A19 is a great way to turn regular lamps into devices that can be controlled with any of the major home automation platforms (Apple HomeKit, Amazon Alexa, and Google Assistant). Very important for many people, these bulbs can be set to a variety of shades (warm to cool white) and can also be dimmed. Do note that some features require a Philips Hue Hub device, sold separately. Bluetooth headphones have become very popular recently, although the price of many of these devices has not been so popular. Many who desire wireless headphones are people who would use them during a variety of workouts, so their ability to stay secure in the ears while moving and sweating is important. 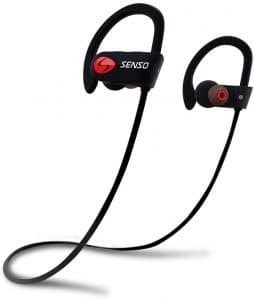 Luckily, the SENSO Bluetooth Headphones are inexpensive, sweatproof, and has many great reviews testifying to stay in place during workouts. This may be a great gift for those workout warriors in your life. Finally, one issue with technology usage that has received a lot of coverage in the last few years is the possibility that blue light emanating from screens can be harmful to one’s sleep quality. Many manufacturers of devices now include a “night mode” that changes the color of the light coming from the screen to reduce the amount of blue being seen by the user. But not all devices have this feature so if you are concerned about the amount of blue light you or your loved ones are being exposed to at night, a simple pair of glasses that blocks blue light may be the solution. A very popular and low-cost option is the Uvex Skyper Blue Light Blocking Computer Glasses available from Amazon. 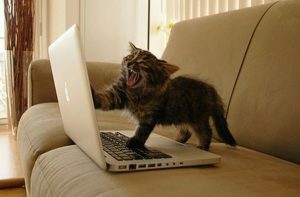 Slow Internet speeds make even cute kittens angry. You don’t want to anger a cute kitten, do you? Almost four years ago I wrote an article about high speed Internet services and the inability of some network equipment to keep up. That has been one of my most popular articles ever, generating over 200 comments and questions. Clearly people are frustrated by slow Internet speeds. At the time, the baseline residential bandwidth had been increased to 100 Mbps in my area. Since that time, it has become possible to get 1000 Mbps (gigabit) service in certain neighborhoods in my area and just recently, the local cable provider increased their baseline residential service to 200 Mbps. As such, I felt it was time to revisit this topic. For many people with older networking equipment, they may not have been getting the full 100 Mbps they were being provided, but they may have been close – say in the 90 Mbps range. But now with 200 Mbps speeds, if they are only getting 90 Mbps, then they are getting less than half of what they are paying for. Even worse, some people with malfunctioning equipment or older wireless technologies may only be getting a fraction of their maximum Internet bandwidth. I have observed that as routers get older, the possibility of subtle problems increases. 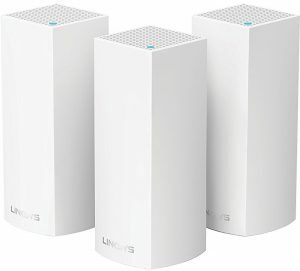 Routers that seem to be working fine may not always provide the best possible throughput or they may seem flaky – and maybe only with certain devices! Or they may work fine under light load, but when kids come home and start hammering the Internet with games and streaming videos, then things start going awry. 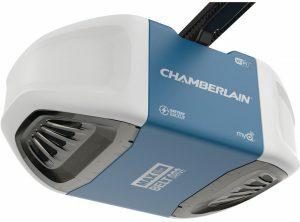 Various network problems also plague small businesses who often will keep older equipment running well past its prime. The bottom line is that with the prevalence of very high speed Internet services that are 200 Mbps or more, combined with the increased demand for bandwidth from streaming video services and a multitude of mobile devices, now is definitely the time to review your network to ensure you are getting the Internet service speeds you are paying for. Contact a trustworthy technology professional who has expertise with home and small office networks (such as myself!) to review your current setup for problems that may be restricting the speed of your Internet service. In one example, I helped a client increase his usable Internet bandwidth 10x AND made it accessible from every area of his home. It is certainly worth having your network checked out to make sure you are getting the best service possible. As all the hype for today’s iPhone event ramps up, I wanted to write an article about something I’ve mentioned on some videos previously. As millions of people wait in anticipation of whatever the 10th anniversary iPhone is revealed to be, I can’t tell you what the new iPhone will bring, but I can tell you the smartest way to buy it when it is released. It seems most people believe they must buy their iPhones from their wireless carriers. In the past this was the best way to do it, as the carriers would subsidize the cost of various phones. However, the carriers would then lock subscribers into a two-year contract in order to recoup the cost of the subsidized phone. 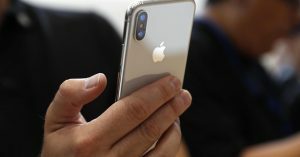 In the last two or three years, carriers have started to move away from the subsidized model and instead offer payment plans on pricey smartphones, iPhones included. AT&T calls it their “Next” program, Verizon used to call it “Edge,” but now simply calls it “device payment program,” Sprint calls it a “lease” plan, and T-Mobile “Jump”. These payment plans are generally fair in my opinion, as the carriers do not technically lock subscribers into a contract, but instead simply require the payment of the balance of the phone in the case where subscriber leaves the carrier before 24 payments are completed. There is no interest charged on the payment plan and so at the end of 24 monthly payments, the phone is paid for in full for the same cost as if it had been paid all upfront. Also subscribers have the option of trading out their phone after one year for a new phone and starting over on a payment plan. Now while the carriers aren’t technically locking subscribers into a two-year contract, the fact that the balance of a phone on a payment plan is required if a subscriber wants to leave a carrier certainly feels like a lock-in. Wouldn’t it be great if there was a payment plan that would allow someone a way to change carriers but keep paying the installments? Actually there is! The ironic thing is that this payment plan has been around a couple of years as well, it’s just that not a lot of people seem to know about it. Apple themselves basically have the exact same payment plan as the wireless carriers offer, bundled with AppleCare+. Apple calls it their “iPhone Upgrade Program.” The key is that the iPhone you get from Apple is SIM unlocked, which in technical terms means it will work with a SIM from any carrier, but in layman’s terms simply allows for the iPhone to be used with any wireless company. So someone that buys an iPhone using Apple’s payment plan can, in fact, change carriers as they wish without losing the installment payment plan. This, of course, assumes that the subscriber isn’t on a contract with their carrier. It appears to me, however, that most people are now not on a contract since the carriers began with their payment plans a few years go. So to sum up, by purchasing your iPhone directly from Apple using their iPhone Upgrade Plan, you get all the advantages of the carrier’s payment plans without the lock-in. Smart, no? Especially with the expected cost of the new iPhone to be higher than normal, a payment plan from Apple is probably the way to go. Let me know what you think in the comments below! In recent months, a variety of new and expanded services have emerged that offer traditional cable and satellite TV channels as streaming options over the Internet. 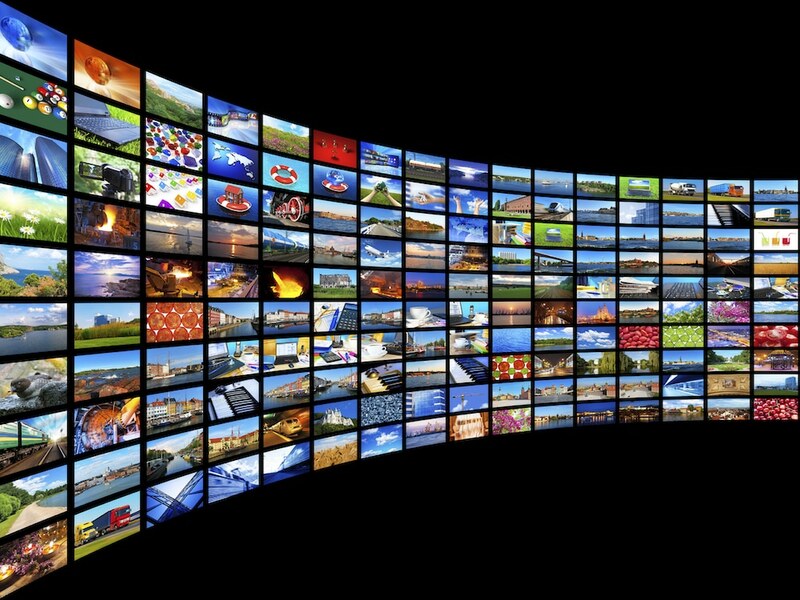 With some services also offering local traditional broadcast channels as well, suddenly this new generation of streaming services are encroaching into the cable and satellite market, making “cutting the cord,” as it is popularly known, a more realistic option for people looking to reduce their TV subscription costs. What exactly makes these new streaming services so attractive? Besides the obvious fact that TV channels previously only available through a cable or satellite TV provider are suddenly available for viewing on a variety of Internet-enabled devices, the key factor is sports. This issue has been near and dear to my heart for a few years now, and through my research I learned that I was not alone in this. The lack of live sports on streaming services has made cutting the cord difficult for many people up to this point. To use me as the example, the sporting events that I mostly watch (Cardinals baseball and Blues hockey), are primarily available on Fox Sports Midwest (with a smattering of hockey games on NBC Sports Channel, plus some sporting events on ESPN, etc.). Without this channel as a streaming option, I had to subscribe to a cable or satellite TV provider in order to watch the games I wanted. Now, I have the option to subscribe to a streaming service that offers live TV channels such as Fox Sports Midwest (in my region) and let go of my cable subscription. So yay! I’m ecstatic at the thought! Examples of some of these new “live TV” streaming services include Sling TV from Dish Network (they run a lot of commercials), DirecTV Now from AT&T (they’ve recently started running commercials), PlayStation Vue, YouTube TV, and the most recent entry is Hulu with Live TV. In fact it was the new Hulu with Live TV that made me really take notice. I had been considering trying out the Sling TV service, but as attractive as their pricing appears at first ($20/month for their “Sling Orange” package and $25/month for their “Sling Blue” package), in order to cover my sporting needs, I would need to get both packages as some sports channels are only offered on one of the packages. So the total cost would be $45/month, which is a little higher than what I’d like to spend. In addition, a nice option of a “Cloud DVR,” which would let you record shows for later viewing and store them online is an additional $5/month. So now we’re at $50 a month and for those who want to cut the cord, this pricing level is starting to get out of hand. When I found out about the Hulu with Live TV service that was just recently released into “beta” in May, it intrigued me. At first glance the cost is higher than a Sling TV package, starting at $39.99/month (or $44.99 if you want the commercial free option – which I want). However, with this one package all the sports channels I want are included, as well as a nice selection of other TV channels that I have an interest in such as the History Channel, Food Network, and National Geographic among others. In addition, Hulu also includes a Cloud DVR option at no additional cost. Finally, Hulu with Live TV also includes some local TV stations as well. In some markets, all the major networks (ABC, CBS, Fox, NBC) are covered. In my market of St. Louis, only the CBS and Fox affiliates are currently included, but from what I’ve read, Hulu plans to offer all network affiliates in all markets as negotiations are completed over time. I like this feature because as far as streaming services have come, it is still nice to be able to watch certain network TV shows live and/or record them for viewing a short time later (most show episodes that are available on a streaming service are not available until the next day). Up until this time, a cord-cutter’s only options for getting local channels without a cable or satellite service were antenna-based devices and services that while functional, were often tricky to set up (antennas can be a pain) or required additional monthly costs for full functionality (such as expanded guides). So all that being said, the monthly cost of $44.99 is still a little high according to my own criteria. However, here’s the kicker: I’m already paying $11.99 for the standard Hulu streaming service now. So if we account for that cost already, I will only be paying an additional $33/month to get not only all my sports options, but also a nice selection of TV channels that I like plus local stations that will allow me to eliminate messing with my antenna-based Tablo device (as soon as we get our local ABC and NBC affiliate as part of the service). For the entire package, this seems like quite a reasonable price and I still get access to the Hulu streaming library that I had before. Plus I can drop my cable TV package that is about twice the cost currently and has a horrible DVR (yes, I’m looking at you, Charter). So look for me to provide a review of Hulu’s new Live TV service very soon, as I am literally signing up for the service this weekend! 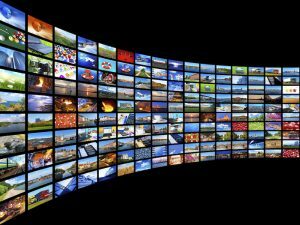 As for which service you should choose, I’ll link you to an article that does a very good job of comparing the different live TV streaming services and explaining which ones offer the best options depending on your needs. 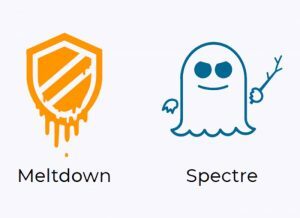 However, the speed in which these services are evolving is quite fast. If you are reading this article even just a few months from when I posted it (July 2017) then there is a good chance that competition has prompted some of the providers to improve their offerings and/or lower their prices. So make sure to review your options before making a choice. If you have any questions about streaming services or any technology topic, please feel free to ask me on my Question and Answer section of my web site!